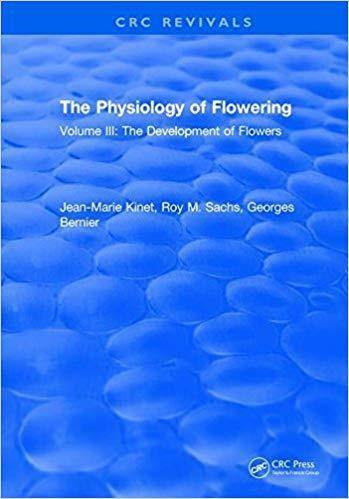 The Physiology of Flowering Volume III The Development of Flowers | Free eBooks Download - EBOOKEE! The present work is organised such that the whole phenomenon of flowing is divided into two major steps: 1. the initiation of flower primordia and 2. The development of these primordia into mature flowers until anthesis. With this volume aiming to to provide a balanced account of themost important and recent contributions in all aspects of the subject. No comments for "The Physiology of Flowering Volume III The Development of Flowers".